As any frequent visitor to Western-Traveler knows, food and drink are a big part of my traveling experience. Once in a while we’ll actually gear a vacation to a specific location, just to check it out. 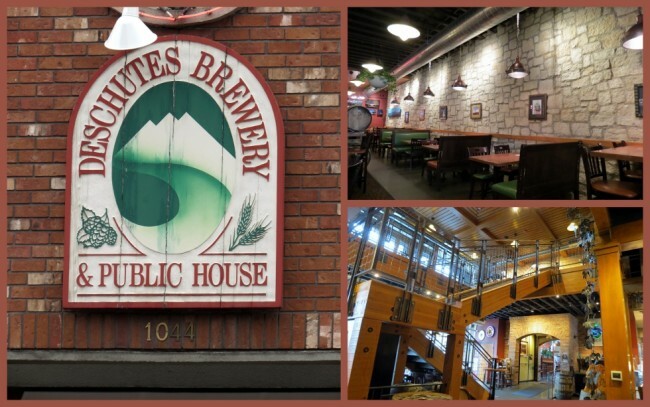 The Deschutes Brewery Public House in downtown Bend, Oregon is such a place. Their beer is legendary quality and lucky for me is even available in my home state (or Commonwealth if you want to be particular) of Kentucky. While visiting my friends out in Oregon, Jeff and I had planned to cruise over to the John Day Fossil Beds and en route we’d planned to hit Deschutes, which we did. Located at 1044 NW Bond street this wonderful destination offers world-class beer (19 taps) and a delightful food menu as well. Many of the ingredients come from local farmers so you know it’s fresh and tasty. They’re open seven days a week for your eating & drinking pleasure. To be blunt, this isn’t your grandmother’s restaurant. Here you’ll find some exotic and original dishes like no other. You can choose from such items as: Salt & Pepper Calamari, a Sausage and Cheese platter, various soups & salads, a Salmon BLT, unique and wonderful burgers (including Elk), various meat dishes, a nice assortment of other sandwiches and tons of mouth-watering deserts. 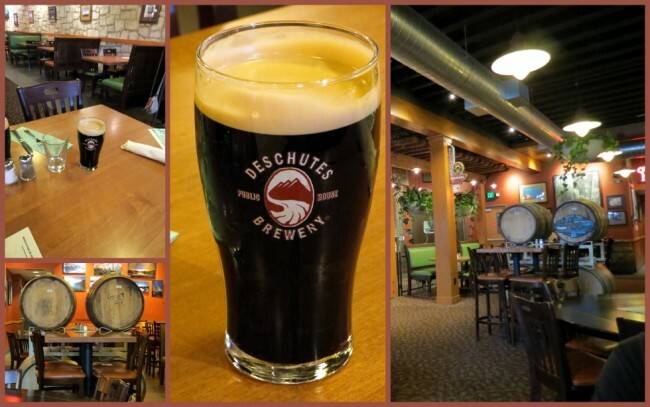 Just for your information, there’s another Deschutes in Portland if you find yourself closer to that one, bet it’s good too. Last modified on: March 11th 2016.